Or as my kids like to say, you are so much easier on Josh. Deni Bayer, Mom. Fit Chic. Wife, daughter, sister, friend. Blogger. Master Juggler! My kids are now 22, 20 & 16. And one of the most recurring themes in the house now is how much different I am now. Which is usually preceded by, “really, Mom?”. You are going to let him (fill in the blank — go that party, talk to you like that, watch that show….). It’s constantly perplexing to my older 2 boys that their younger brother gets to do things that they either never did — or had to wait much longer to do. And my response to them is always — AND??? I am not the same person I was at 25, or 35. Like everything in life, you learn as you go. You make mistakes, and sometimes you are just flat out OLDER. And more tired. Am I the same MOM I was then? Absolutely. And also, not so much. What hasn’t changed? I couldn’t love my kids anymore if I tried. 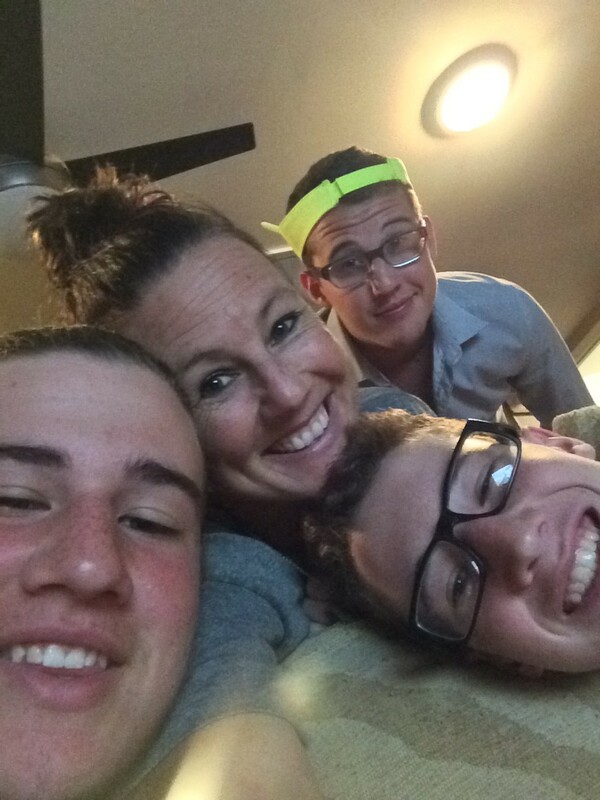 I have been absolutely lucky that for the entire 22 years of my motherhood, I have enjoyed being the Mom to these 3 boys. And that’s the truth. We play grouped, and did arts & crafts. I coached t-ball and was room parent. For ALL of them. I sat and did homework with them, took them school shopping & went on field trips. Basically, I was PRESENT. I spent time with them. I wanted to be an active part of their lives, which to me, was always the most important part — just being there. Jake & Luke could not watch Rugrats. (I know). Angelica was MEAN. We didn’t need that kind of negative influence. We didn’t say “hate” or “stupid”. Those were the bad words I was worried about. And in hindsight, it’s kind of ridiculous, but it worked for me at the time. We didn’t buy toy guns, of any kind. They couldn’t play first person shooter games. All of the things I believed would negatively influence them. What I learned over time, was that, while most of those things COULD have impacted them, they mostly were just background noise. What makes my boys nice, compassionate young men, is not what they were NOT exposed to, but what they WERE. Life is 100% about learning. Taking the lesson from each situation. And what I learned between kid 1 and kid 3 was that my kids were going to be ok, first person shooter games or not, because I participated in their lives. Discussed things with them. Tried to show them how to become independent, free thinking souls. I often joke that Josh is being raised by wolves. He’s not, really. But he does a lot more for himself than either of my other boys. Because he can. And maybe, because I don’t need to. I don’t know the answer to that one yet. What I do know, is that my older kids don’t give themselves enough credit for making me the luckiest Mom alive. The time I spend over-parenting them, paved the way for this cooler, somewhat more laid back 45 year old version of Mom. And they all benefit from it. As usual, Josh just seems to benefit from it a bit earlier. But somewhere, in his heart of hearts, I’m sure he would have enjoyed a little bit more of hovering Mom. She actually cooked. On Mother’s Day, I just want to say loud and proud that being a Mom is the best job on the planet. I wouldn’t change it for anything. But that doesn’t mean that it’s easy, or that I get it right all the time. Like everything else in life, it’s a work in progress. As I evolve as a person, I also evolve as a Mom. Some incarnations are better than others. But I always, always consider myself lucky to share this journey with my incredible boys. And hope they know that I learn as much from them as they do from me. Probably more — I’m pretty sure I pay more attention than they do :).